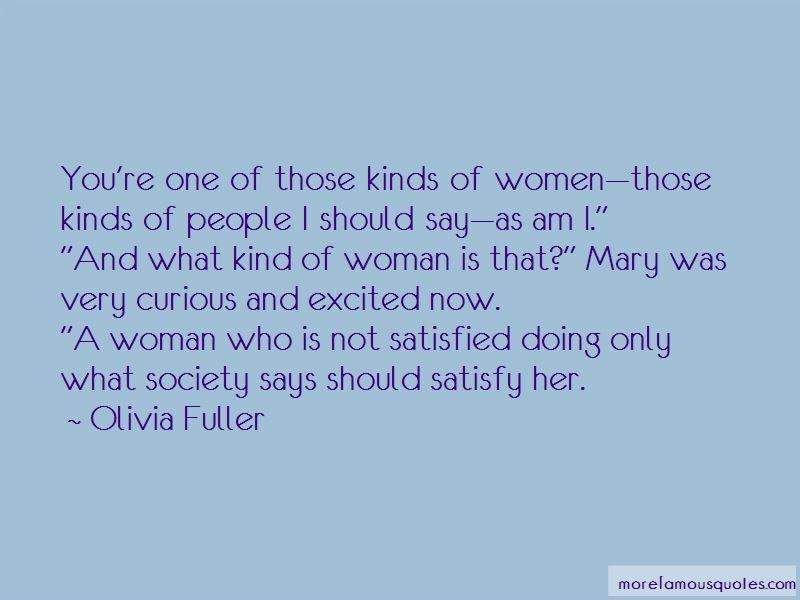 Enjoy the top 5 famous quotes, sayings and quotations by Olivia Fuller. “Youre one of those kinds of women—those kinds of people I should say—as am I." "And what kind of woman is that?" Mary was very curious and excited now. Every choice we make affects the other. It always has ... We share our choices and our burdens. But that way neither of us has to carry the weight alone-You have never been alone. “You're one of those kinds of women-those kinds of people I should say-as am I." “Mary sat on a bench in the park. It was the middle of the night and she was alone and she felt at peace. She leaned back and looked upward. The sky was endless and expansive and the stars stretched on forever. It made her feel very small but it also made her feel very important. Of all of the things that might have ever had the chance to exist in the history of the universe, she had the privilege of being one of them. 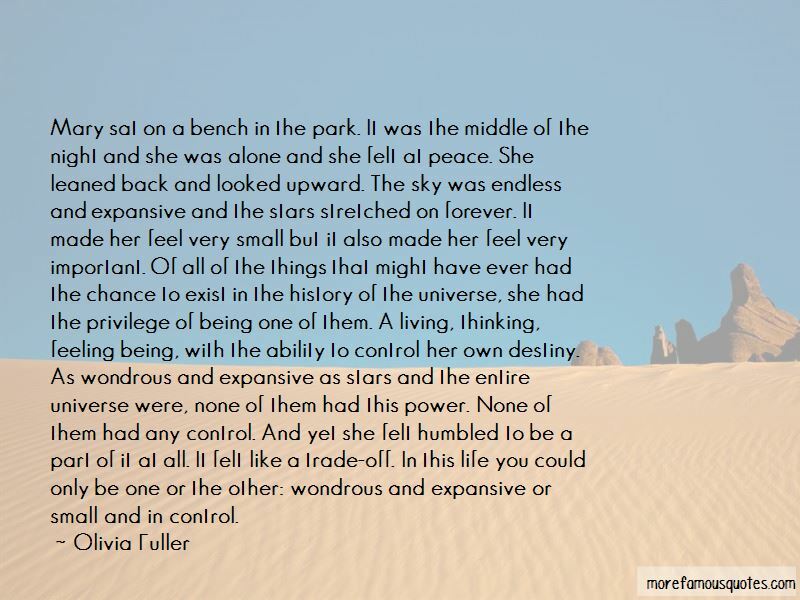 A living, thinking, feeling being, with the ability to control her own destiny. 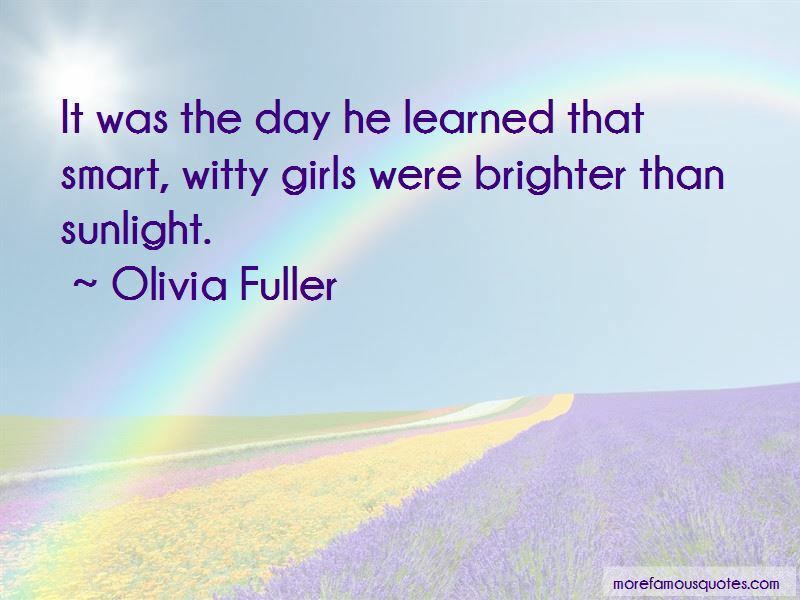 Want to see more pictures of Olivia Fuller quotes? 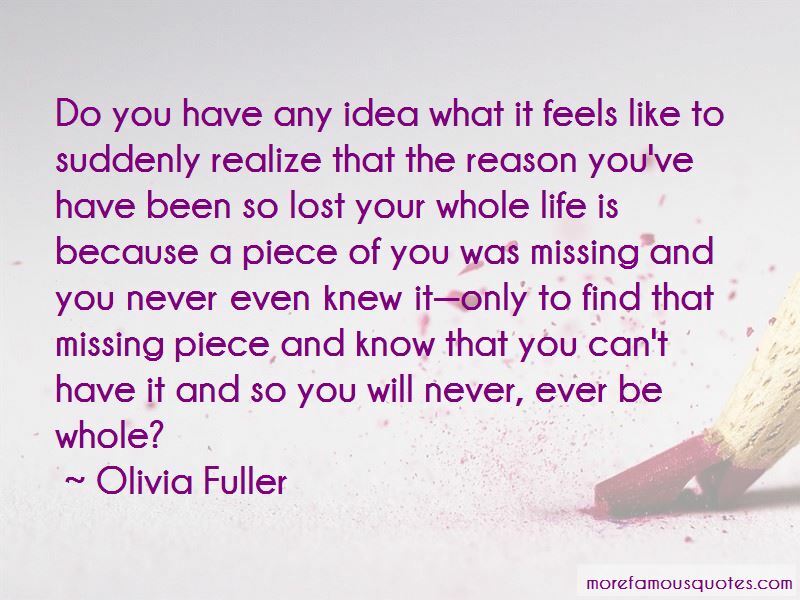 Click on image of Olivia Fuller quotes to view full size.